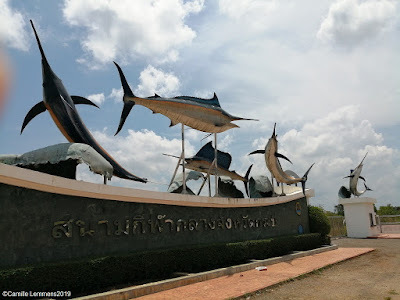 Welcome to the original Koh Samui info and weather blog with lots of information on things to do and see around tropical island destination Koh Samui in Thailand including weekly weather updates, brought to you by long term resident Camille Lemmens since February 2007. 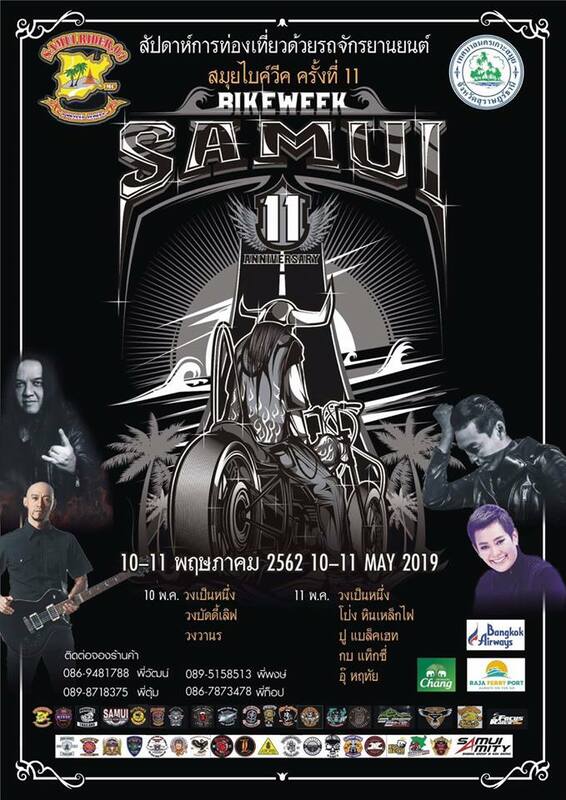 It's time for the 11th Koh Samui bike week, 10 + 11 May 2019. I clearly remember the first few Samui bike weeks that I visited. The cool bikes on display and the charity rides around Chaweng and the island. Hard to imagine that's already 11 years ago! 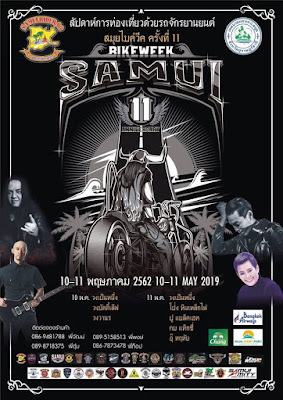 This event clearly has been growing and growing and seems now a steady feature on the Samui event calendar. This year will see all the action again at Phru Chaweng or Chaweng lake. Friday 10th and Saturday 12th may are the days to mark in your calendar. That's when all the action will take place. Besides the cool bikes, there are usually also concerts during the evening. Go out and have a look, there will be plenty of cool and/or crazy bikes there. You won't get to see them every day. Well worth a visit! Please do 'like' my Koh Samui blog Facebook page and enjoy the beaches around the island or in front of your hotel or resort and get some well deserved rest and a break. If you're done resting or need something else to do, there's plenty of things on offer on and around Koh Samui, you can go snorkeling or diving or take a dive course. You can also enjoy some of the trips I recommend, like a half day gourmet lunch and snorkeling trip at the Southern part of Koh Samui or a photography trip where you get to see the most photo genetic spots on the island or go for a drinks tasting tour if you like a tipple or two. You may also opt for a very special dinner experience at The Thai Experience. Behind closed doors, reservation only and a very enjoyable and well worthwhile way of spending an evening on Samui. Authentic Thai food and a great atmosphere. Can highly recommend this experience. Contact me for more detailed information on any of the options mentioned. 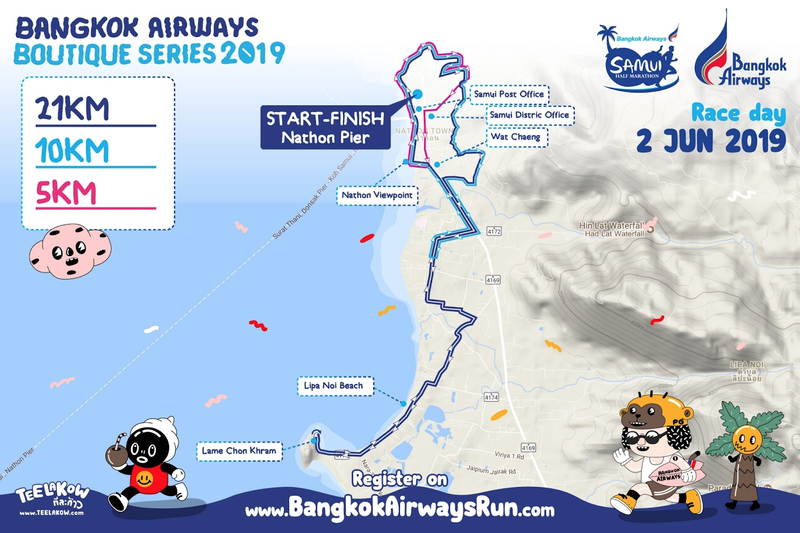 A big trail running event is coming up, The Moon Koh Phangan Trail run 15-16 June 2019. Just two week after the Bangkok Airways Samui half marathon on 2nd June. The distances you can choose from are 100km, 62km, 32km and 15km. I will participate in the 15km run. A day after the Cancer Care charity 10km run in Nathon. The 100km and 62km races will start 15th June and the 32km and 15km races start 16th June. 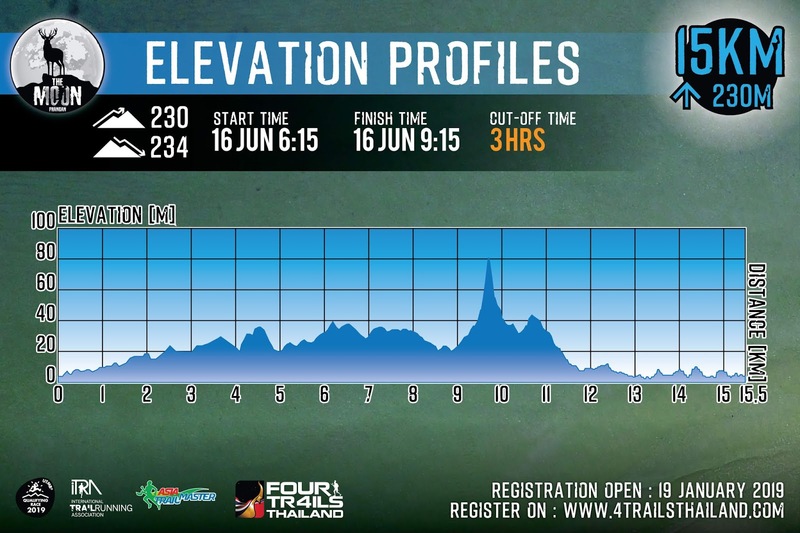 Trail running is becoming very popular around Thailand and in the overall South East Asian region. However, events in Southern Thailand were rather rare. This is slowly changing. We just had the Samui cross earlier this month. A few other trail races have already taken place or are scheduled throughout the year. Including in locations like Phuket and Khanom. It's not my favorite style of running but I will participate if the race is near enough. So far I have participated in two trail half marathons and two 10km events. My only Indonesian race was the Bromo half marathon, a few years back. 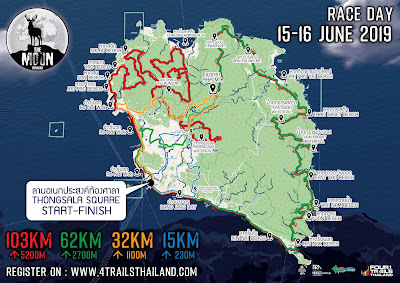 The race routes of the 4 separate trail runs on Koh Phangan. The organizers went out of their way and have pretty much 4 different routes for each race. 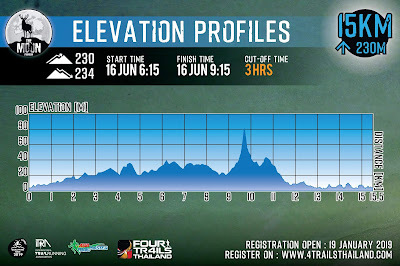 On Koh Phangan you can choose for 4 different distances and each distance has some serious elevation. The elevation gain during my 15km race. It shouldn't be too bad, during my road races I sometimes cover more elevation. Running a second event in a weekend might make it hard though. It's going to be a fun weekend. If you;re into trail running, this race is a big challenge. If trail racing is new to you, the 15km route may be a good starting point for you. 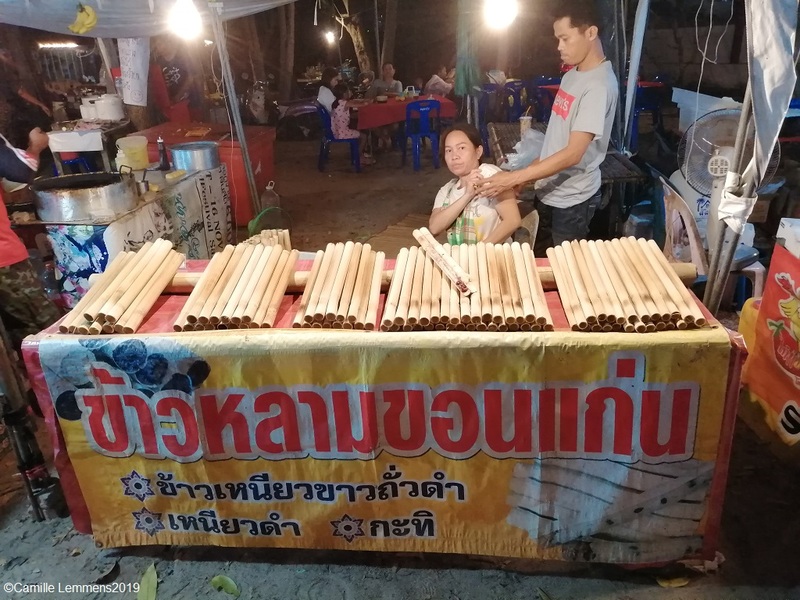 Another Sunday morning, another long slow distance run in the bag and another Koh Samui, Thailand weekly weather update; 15th April 2019 – 21st April 2019. In case you missed it, it's steaming hot at the moment in Thailand. This morning it's already 31C around Koh Samui but it feels like it's in the lower forties. Right now I'm still on Koh Lanta for at least another week. It's been very hot here as well. Even during the early mornings, which are usually rather cool here. During last week we had one tropical shower here, last Sunday evening, the day I arrived on the island. Sweets at display during the recent temple party last month at Bophud temple. The bamboo is filled with coconuts sweetened rice. Last week it was very hot around Koh Samui. Maximum temperatures reached 36C but it felt much hotter. There was hardly any respite, except a rare tropical thunderstorm yesterday at some parts of the island. Minimum temperatures didn't drop below 28C at night. The islands and the South in general are however still not as hot as Central and Northern Thailand where the quicksilver reached well over 40C. A southbound view from the most northern point in Ban Saladan on Koh Lanta. This is the main street at the end of the season. Almost like a ghost town. Many places are already closed or start closing down. Next week more hot weather is ours to be! From Tuesday on though, it may a bit more cloudy. A tropical thunderstorm or shower is very welcome and may occasionally occur. Enjoy your time on the island and make sure to use coral reef friendly sunscreen. 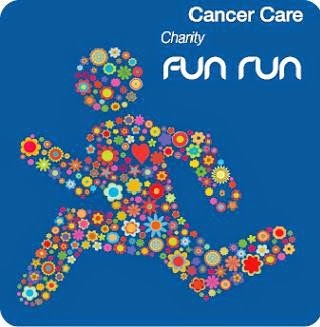 It's the time of the year for the 12th Cancer Care charity fun run 15th June 2019 on Koh Samui. As always organized by the Four Seasons Resort. It's on a Saturday and the distances that can be participated in are 2km, 5km and 10km. Start will be at 7am. I was lucky enough to be able to participate in the previous 8 editions on Koh Samui. In addition : a lucky draw will be held for all participants who complete the events. Participants must be present to claim prizes. Some really good prices are to be won each year. Definitely much better than the umbrella you get as fastest runner or runner up! This run originates from Terry Fox's famous run in the 1980 in Canada. The Four Seasons committed at some stage during his run to accommodate Terry and his small entourage wherever possible. After he had to stop his run due the primary cancer having reached his longs, The Four Seasons committed in a telegram to his family to “You started it. We will not rest until your dream to find a cure for cancer is realized.”. Hence each year all over the world 'Care for Cancer' runs with all profit going to charities. 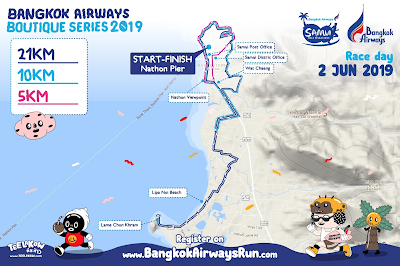 Come 2nd June this year, it's time for the Bangkok Airways Koh Samui half marathon. It will be run on the same course as last year. Start and finish will be in Nathon, near the Seatran pier. From here we will run towards the navy base in Lipa Noi and back with a 5am start. There will also be a 10km at 6m and a 5km run at 06.15am. You can sign up at Thai Run until 30th April. 700.-THB for the half marathon, 550.-THB for the 10km and 500.-THB for the 5km race. Each person who registers will receive an event t-shirt (with a great design this year) and a bib number. If you complete your race, you will also receive a medal. There will be water stations at approximately each 2km along the route. The picture above show me at the start of last years event. Last year I came in 2nd in my age category in 50 and up and 14th ll over. This year I'm looking for another top 3 finish in my age category. The race routes for this year. Am looking forward to this years event. Although I will already be in training for the Koh Samui marathon, come 15th September. I will be in my fourth week of training but it will fit in! Hope to see you there, and if you see me, say hi! 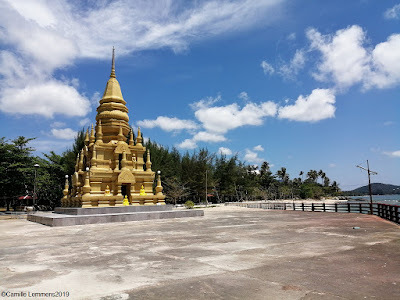 Another Sunday morning and on the move but it's always time for the Koh Samui, Thailand weekly weather update; 8th April 2019 – 14th April 2019. The long Sunday morning run is in the can, no worries there. I'm on the move indeed, I'm off to Koh Lanta where I will start a PADI IDC tomorrow morning. It's nice and hot on Koh Samui. High humidity each day though and the current temperature at 11.30am is already 34C and rising. According to the website, it feels like 46C! No kidding. Songkran 2019 in Chaweng in front of Central. It was interesting this year, since the road was partially blocked for traffic along Chaweng beach road. It reduced a lot of the action and excitement in my humble opinion. Still, plenty of fun was had and plenty of water was shed. Last week didn't see a single drop of rain around the island. The maximum temperature reached 34C and it didn't go below 27C. April for sure is the hottest month of the year around Koh Samui. We spent four days in Ao Nang in Krabi province early this week. Nice and relaxing times with the whole family. This is one of the sail fish related statues in and near Ao Nang. It's a fairly touristy destination but there are nice places and spots to be found. Do we have a forecast for next week? Yes we do. Nice and sunny with possibly a tropical thunderstorm to cool things down for a bit. Enjoy your time on the island and don't forget to check out one of the options mentioned below. 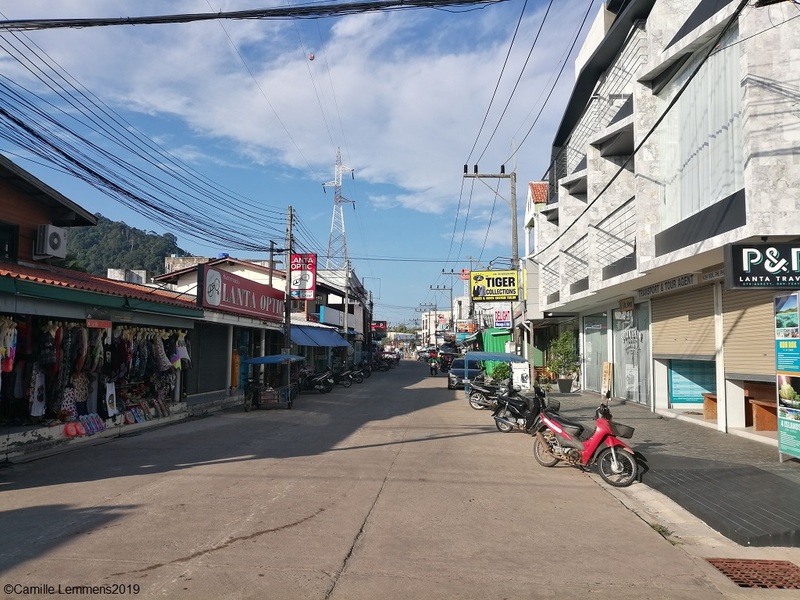 Sunday morning time for the Koh Samui, Thailand weekly weather update;1st April 2019 – 7th April 2019. Plenty of running has been done over the weekend on Samui! First of all last night the 7th Samui Midnight run, which I won in my age group 50+. Secondly, this morning, a 10km trail in Soi 1 in Maenam. After being in second spot, I took a wrong turn at around 7km and run 700 meters too far. As a result I had to turn around and get back on route. Lost my second spot and ended fourth in my age group 50-59. Did I ever feel last night's run and lack of sleep. Just one hour and a half I got clocked on the sleep-o-meter. Wat Bophud last month during the temple party. A very nice and colorful decorated alley made out of umbrellas. Nonetheless, it's a sunny day out here on Koh Samui. At almost 11am it's already 32C and the temperature is rising. In Maenam, the trail runners of the 30km race are about to get to the finish. After a 5am start. Not my cup of cake but respect is due! The first time I take first spot in my age group on Koh Samui. Last night at the 7th Koh Samui Midnight run. 5.2km in 22'23 minutes and a 4'18 pace. My fastest race to date. Last week the maximum temperature has risen to 34C. On the other hand, the minimum temperature still had a whooping 27C. Plenty of sunshine and hardly any rain at all. 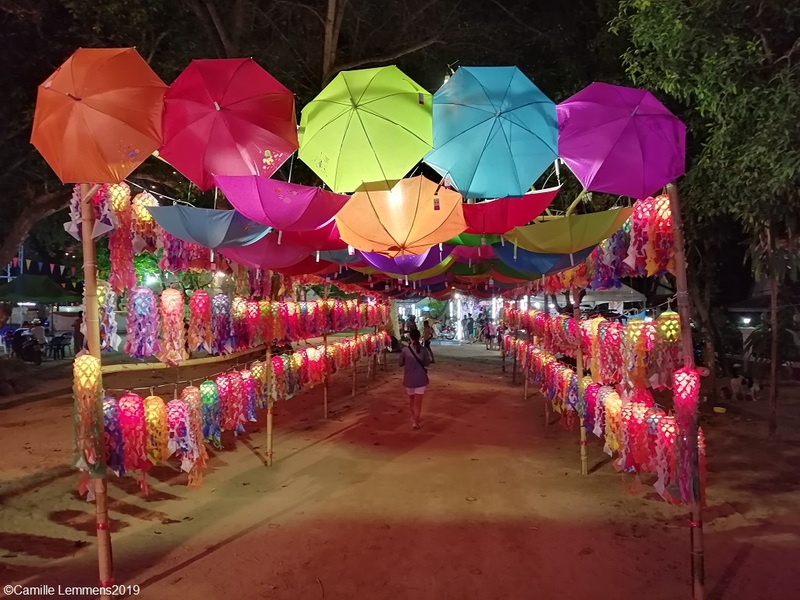 A typical April on Koh Samui start of the month. Last week I was in Khao Lak for a PADI IDC and PADI IE. 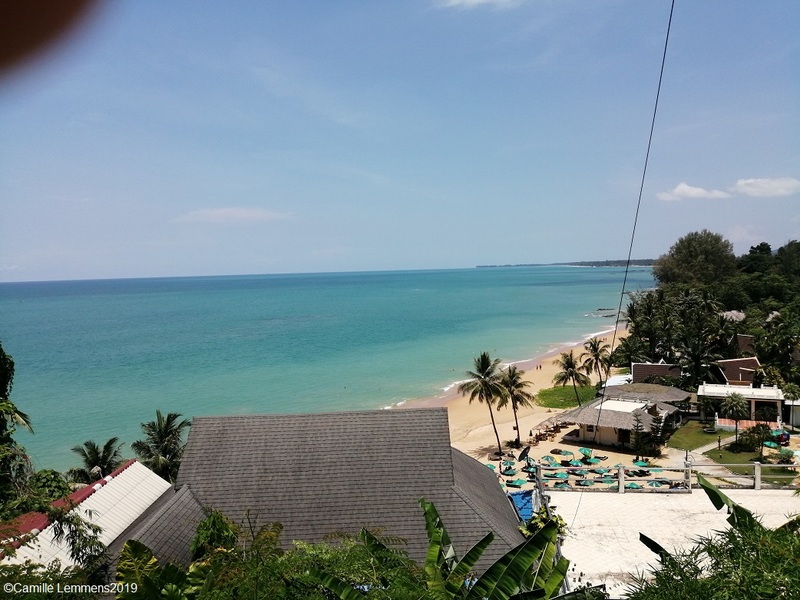 This is a beautiful stretch of beach, at the start of Khao Lak. It's taken from a big hill. On Youtube one can find videos of the 2004 tsunami, when on this beach people are swept away by the first wave. Never can shake that video when I pass this hill and look on the beautiful beach. As a matter of fact, I need to learn to take my fingers away from the new mobile camera! For next week, the forecast is looking good. No rain predicted but plenty of partially clouded skies should be around. Enjoy your time on Koh Samui. The family and me will be off to Ao Nang in Krabi for a few days. Don't worry, we will be back for Songkran or the Thai New Year. You don't want to miss out on this celebration! It's not a joke, it's the 1st April and welcome to April 2019. The first half of the month is going to be busy. The first weekend will see big sporting events on the island. 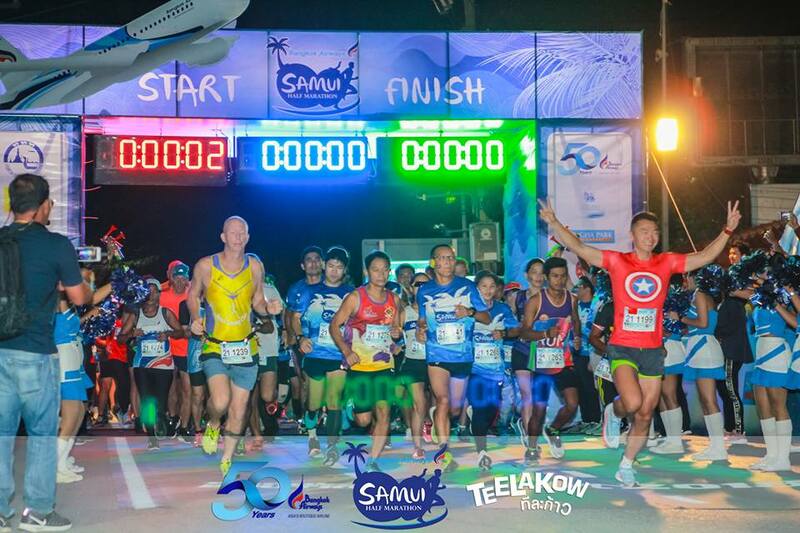 Saturday 6th April at midnight will see the start of the 7th Koh Samui Midnight run. The next morning, there's a 10km and 30km trail run in Maenam, combined with mountain bike races. Next weekend, Saturday 13th April will see the Thai New Year or Songkran celebrations. If you haven't witnessed that yet, a must see and experience event. Other than that, April is also the hottest month on Koh Samui. Although, the last couple of years we also had a few showers during April, even on Songkran! Almost unheard of. The first April week looks good though, plenty of sunshine should be there to be enjoyed. Today it's partially cloudy at 8am and 29C. Expect it to be hot with a fairly high humidity! At Wat Bophud or Wat Bophuttaram, during the recent temple fair in March. 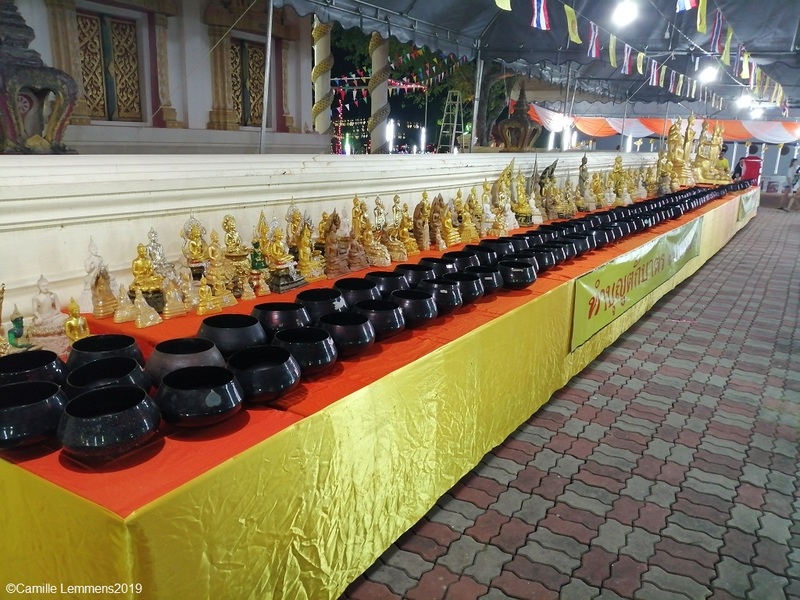 You can put a one Baht coin in each of the cups and make merit! 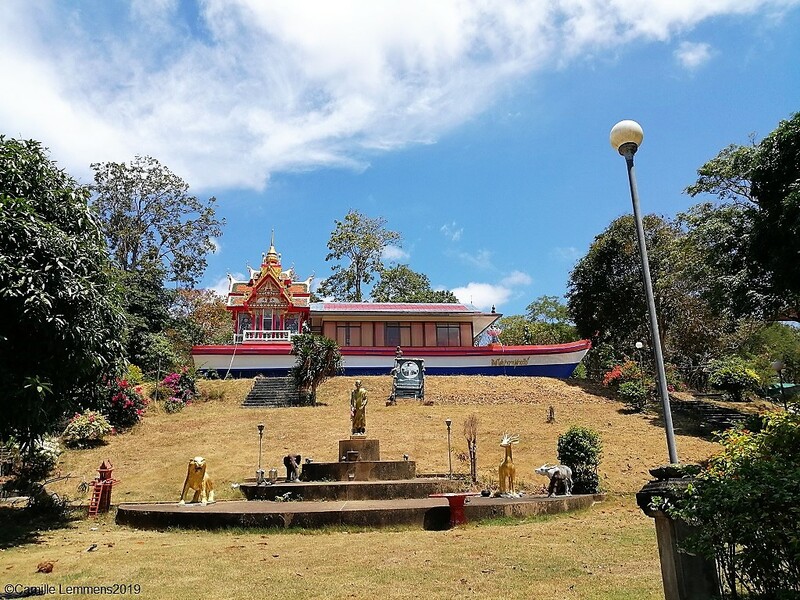 Sunday morning and guess what, it's time for the Koh Samui, Thailand weekly weather update;25th March 2019 – 31st March 2019. Koh Samui is nice and sunny with a partially cloudy sky. At 10am it's already 31C and rising. It feels a lot warmer already! Although I'm teaching a PADI IDC in Khao Lak, this morning I'm on Phuket. I participated in a 10 mile race at Thanyapura. The Supersports 10 mile race. I finished 5th in my age category 50-59. This is a good result for Phuket, where there's always a strong field of runners. Yesterday I participated in an afternoon beach run in Bang Sak, near Khao Lak. A busy weekend. Within half an hour or so, I will be on my way back to Khao Lak. Laem Sor temple, near the pagoda, just a bit further down the road. Build in the shape of a boat. Last week saw a nice week on Koh Samui. The weather was good, sunny and hot. Maximum temperatures ranged from 25C at night to 32C during the daytime. It felt a lot warmer though. The Thai schools are now all on their summer holiday, so traffic should ease up for the next two months. Well, at least a little bit. My finish at this morning's 10 mile race on Phuket. The forecast for next week is looking good. Partially cloudy until Wednesday and full on sun possibly after that. Hot and hotter! Day by day! April has a splendid start it seems! Next weekend I will be back on Koh Samui. I hope to see you on Saturday at the 7th Samui Midnight run and on Sunday morning at the trail run in Maenam. Just one more day to go but already time to say Goodbye to March 2019 on this blog. It has been a good month, with plenty of sunshine. There were actually a few days of rain as well. They were needed and welcomed! At least by us residents. After six weeks of no rain, the wells start to run dry and rain is needed. Besides those few days with some rain, it was hot. Each day seemed to get hotter. Plenty of sunshine and as the picture below shows, also plenty of days being partially clouded. All in all a very good month, kind of what you expect during March on Koh Samui. Not like eight years ago, in 2011. During that March Samui experienced some of the worst floods it ever had. Check one link here. Plenty of more links on this website or on my Samui blog Facebook page. In the South of the island you can find Laem Sor Pagoda. This is a view of the back of the pagoda. Interesting island history to find here. There's a building with glass walls that houses the boat on which a monk landed on Koh Samui in the 1940's. It was nice to spend time on Koh Samui, being home with the family this month. 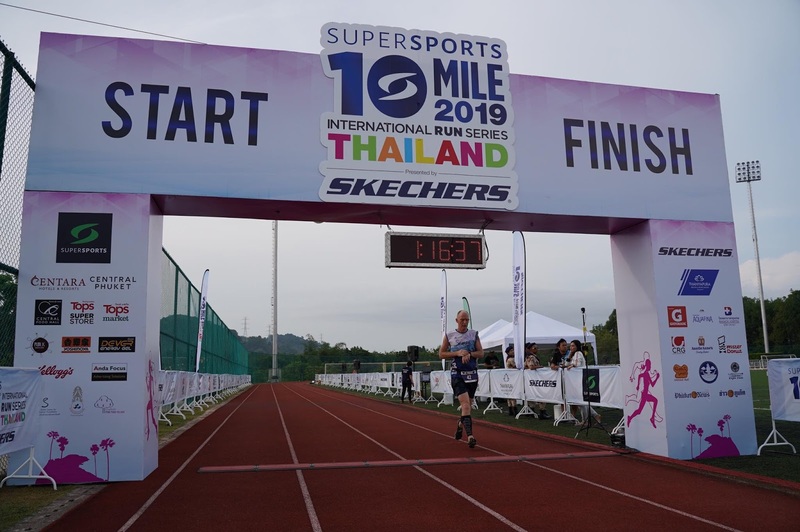 Event wise, it started with a half marathon in Surat Thani and will end with a 10 mile race tomorrow on Phuket. Right now I'm in Khao Lak teaching a PADI IDC. Next month will see the hottest month of the year on Koh Samui, April. This month will also bring Songkran, the Thai New Year. 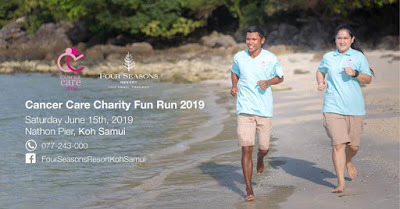 Come Saturday to Sunday night 6th April, the 7th Koh Samui Midnight Run will take place. 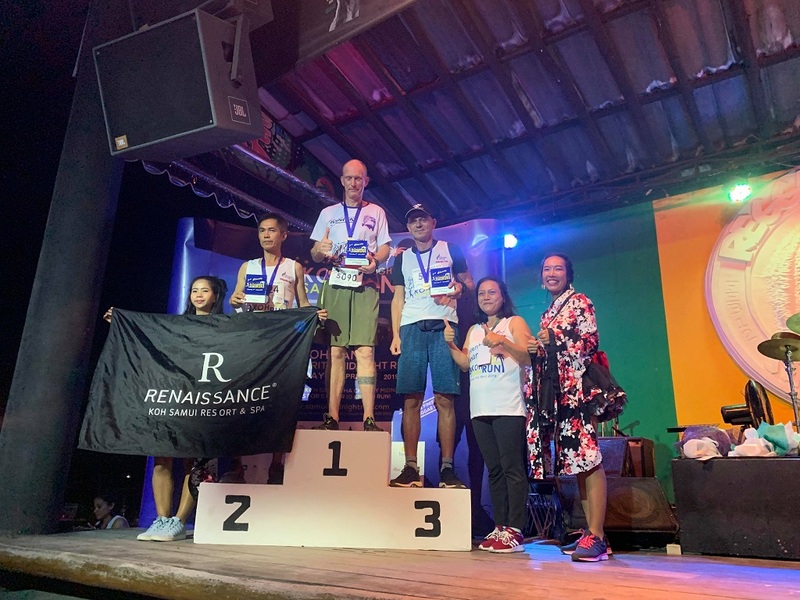 Start and finish at the Reggae pub in Chaweng. Early the next morning there will be a trail run in Maenam's Soi 1, the Soi where immigration is. A 5km, 10km and 30km trail run are on the menu. Hope to see you at either or both events! Camille Lemmens. Travel theme. Powered by Blogger.